Shaving Safe, the old school way. 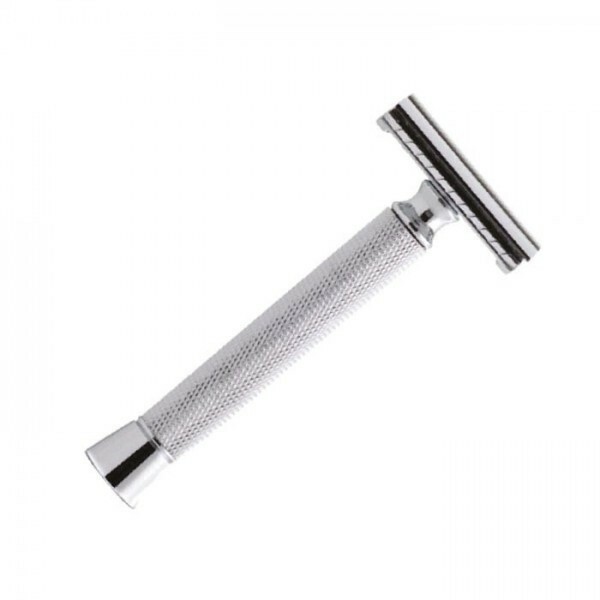 If you like saving money, like a close shave and don’t like the site of blood, this Double-Edge razor is for you. The safer alternative to a straight razor, our double-edge razor (aka safety razor) gives the same closeness of a straight razor shave but with little to no risk of “edward scissor-ing” up your face. For the frugal minded, this is much more affordable then cartridge blades.